In this 5 lesson mini course, learn the foundational basics of color theory and how to apply them to your nature journaling. This class is self paced, so dive into the world of color at your leisure! Is visual art new to you? Well, the Connecting with Color mini course is the place to start. It makes a great compliment to the Draw Yourself Back to Nature course for emerging artists. 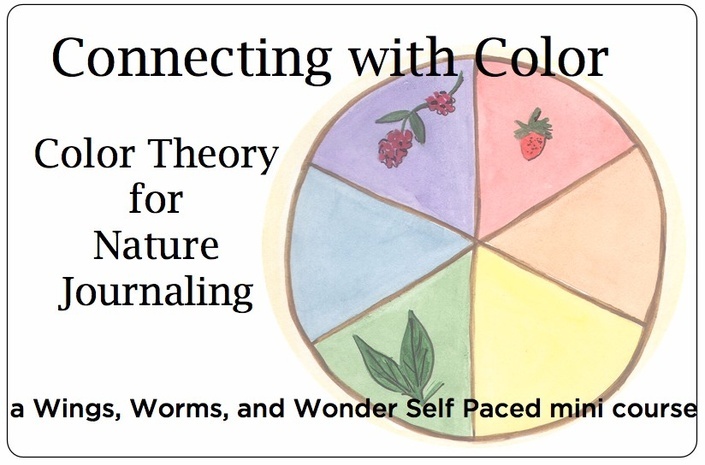 In this course you will learn: all about the color wheel and how that is a visual tool for understanding what color theory even is and why it’s important, value scales and what to do with them, color schemes and how to apply them, color mixing to make custom watercolor paint colors, and ideas for using color harmonies in nature journaling. Each of these topics will help you better express your colorful natural world in your nature journal with confidence, and is taught through video tutorials and hands-on practice exercises on a private course website. By the end of the mini course you will understand: how colors are comprised and mixed, color theory terms so you can communicate about your art more clearly, how colors relate and respond to each other, how to make highlight and shadow colors, and how to apply the colors you see in nature to your journal pages more realistically. How does lifetime access sound? After enrolling, you have unlimited access to this course for as long as you like - across any and all devices you own. For the life of it, of course, which will be a loooong time! But I've never painted before. Awesome!! Absolutely no pervious art or drawing experience is necessary to begin this course. We embrace a beginners mind and take our cues from nature’s rainbow! What kind of supplies will be needed to take this course? Once you register and get access to the Connecting with color course site, you’ll get a supply list explaining everything I use in the videos, what you need, and more! What is the target age group? Great question! I know a lot of my in person workshops are for children, but grown-ups this course is for you! I would say that children ages 6-8+ could do most of it with adult guidance. For example, in a home schooling type situation the parent could take the course, then teach their children the lessons in a way developmentally appropriate for their children. All in all though it’s aimed at adults that want to learn about using and mixing color to enhance their nature journaling practice, deepen their skills, and expand their watercolor painting experience to be able to confidently mix the colors found in nature. You may be thinking: But you have a degree in art, of course you think color mixing is easy. And you have a degree in environmental studies, of course you think connecting with nature is fun! How will you understand me, a newbie to the world of connecting to nature through art? So sure, I am qualified through both formal academic education and years of experience to teach you about the wonders of nature journaling, the powers of art to build nature connections, and the practice and principles of color theory, but I also look forward to what I can learn from your revelations on the topic and expressions of color!! We all see it slightly differently and that makes color theory infinitely interesting! 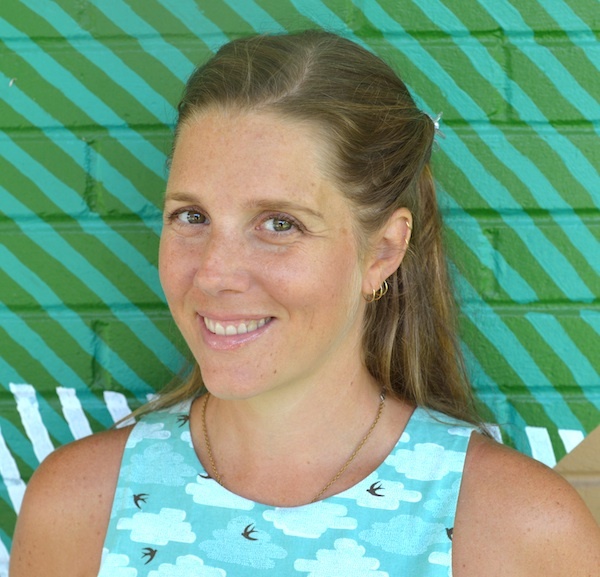 Want to know more about me, my qualifications, my work creative connecting humans and nature & a list of quirky fun facts?